There can be either http or https, there can be any number of subdomains or directories, and the end file can have any name. You are to create a full program (that can be compiled/interpreted) that when given a key will return the correct value and if no key is found it will return an empty string. There are no language restrictions and score is calculated a 1 point for every byte. Smallest score wins. Uses the obvious method of constructing a dictionary and using } to check existence. Thanks to @FryAmTheEggman for the error handling trick. c    \&       Split by "&"
This is a full program that expects the key and the URL to be space-separated on STDIN, e.g. This is essentially just a (.NET-flavoured) regex, which matches the correct value by checking that the preceding key is equal to the first string in the input (using a backreference). The only thing that's a bit odd about the regex is that .NET matches lookbehinds from right to left, which is why the "backreference" actually references a group that appears later in the pattern. The !` instructs Retina to print the actual match (if there is one) instead of the number of matches. # actual match. Start reading this from the corresponding parenthesis. # against the entire input key. \1        # Backreference to the key to check that it's the one we've asked for. [ ]       # Match a space.
.*        # Consume the rest of the URL. [?&]      # Match a ? or a & to ensure we've actually captured the entire key. (         # End of group 1. .+      # Match the key.
) # Capturing group 1. Use this to keep track of the key.
) # Start reading the lookbehind here. [^&]+       # Match the value, i.e. as many non-& characters as possible. This reads the URL from STDIN and the key as an argument to -i. It also requires the -p switch. I've added two bytes to the count to account for i and p.
A function with url and key as parameters. Test running the snippet in Firefox. Takes the URL as the first arg and the key to find as the second. The script takes the first url as the first argument and the key as the second. This restricts the use of the keys U and P on your URL. You can pass the data as you please (POST, GET, COOKIE, ...), being the key U the url and P the parameter. Thank you, @manatwork for this shorter version! Try it online in the CJam interpreter. l      e# Read a line from STDIN. '? '&er e# Replace question marks with ampersands. "&="l* e# Place the second line from STDIN between '&' and '='. /      e# Split the first string at occurrences of the second. 1>s    e# Discard the first chunk. '&/0=  e# Discard everything following an ampersand. Expects the input on two lines, the key followed by the URL. cw\? Split the second input (the URL) by "?" c     \&   Split the parameter list by "&"
cd\=                    Split d by "="
Pass the key in the first argument and the URL in the second. Strips everything off up to and including the first ?, then treats the remainder as a series of assignments (RFC 1738 URLs can't contain spaces or any of the shell metacharacters, so this works). Finally, print the requested result; by default, strings not found are assumed empty. Limitation - any key that already exists in the environment may be 'found' when not present in the input. >> p "http://example.com, https://action.example.com/actionscript/action.jpg" "action"
Takes the URL as the first input and the key as the second. First we split the url on the ? character. Process the string using 0:. The LHS of 0: is a three character string, where the first is the datatype of the key (S for symbol, I for int etc), the second is the key-value delimiter (= in this case) and the third is the record delimiter (& here). Turn this into a dictionary using ! Then do a lookup on this dictionary for whichever key you're looking for. Expects first the parameter name then the URL on separate lines. Note: this function assumes you aren't passing a constant char to it. Not the answer you're looking for? 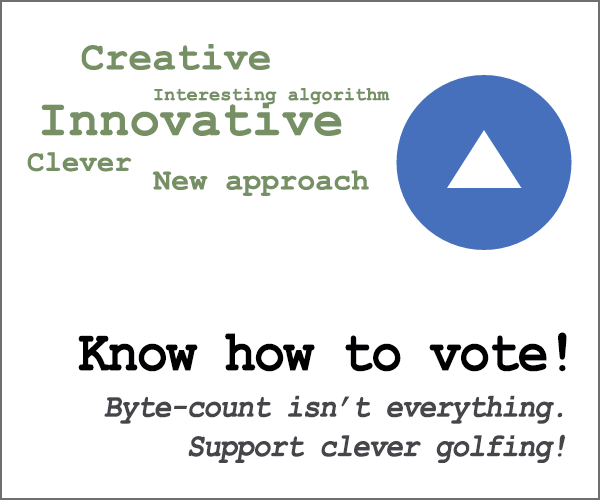 Browse other questions tagged code-golf parsing or ask your own question. So… what is your StackOverflow score?